This battle isn’t new but it has lead to one of the most heated debates in the realm of fitness today. Most individuals are still not sure which one to pick. The first time they walk into a gym, they are either spoilt for choices with the number of machines on display or wonder if they should stick to the tried and tested method of free weights. I was doing research on it for quite some time… then it hit me! Why not incorporate a little bit of both! That’s right… There’s no such rule that says if you use a machine you will never get the results you want. And there’s no rule as well that says you must only use free weights. 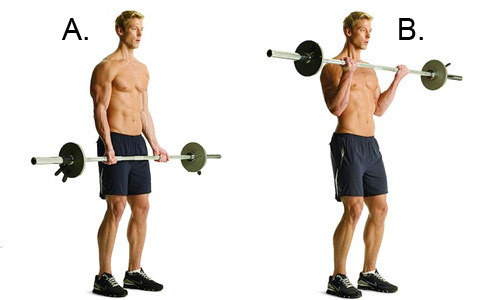 The fact is… By doing a little bit of both for certain exercises, you can target various areas. Let’s take standing barbell curl for example. There you are standing with a straight bar, working on your biceps. But believe me, you are doing a lot more, than you think. Your forearms are being stimulated and your shoulders are taking some weight as well, and you’ll notice that your abs are also tight as they stabilize your body. 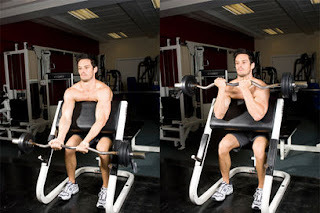 So doing a biceps free weight curl involves a little more than just a biceps workout. Compare that to preacher curl machine, you are seated with no legs involved while working on your biceps. Your abs really aren’t that tense and there’s direct focus on the bicep muscles. Truth be told, you are not the only one asking this question. By incorporating free weights and machines you can target a muscle group and isolate it while doing some compound movements to hit the entire body. The bottom line is, there is no “better than this…”. If you only do free weights, you miss out on a vital component of variation. If you only do machines, you are forgetting about all the important but hidden stabilizer muscles that help in balancing your body structure. By merging both, you can get the best of both worlds and a super varied workout.